It’s not often that we get to see exactly what an Indycar driver sees when they’re driving at over 200 mph. Fortunately, through the magic of the internet and a video by RACER, can get a glimpse of what it’s like to drive an Indycar. 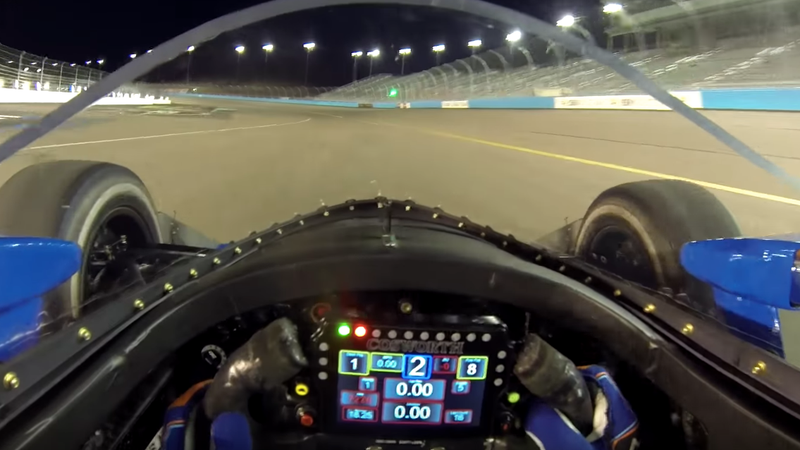 This helmet cam footage was captured when Indycar driver Scott Dixon was testing the new windscreen safety equipment on his No. 9 Honda in Phoenix. While the windscreen test didn’t involve them launching any frozen chickens at the screen like an episode of Mythbusters, it’s still cool to live vicariously through a world champion race car driver.